Businesses that embrace innovation can engage with the Centre in a number of ways. The Bridge Innovation Centre Offers virtual office facilities, hot desks and single desks in a shared office, through to full residency in high tech offices at a competitive all inclusive rate. On site there are self contained workshops or units ready for conversion to laboratory space from 126 sq m (1350sq ft) to 273 sq m (2950 sq ft). 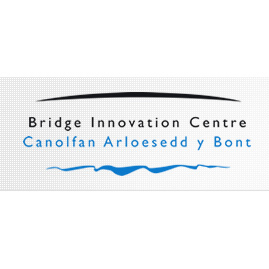 The Bridge Innovation Centre is partnered with Welsh Academia and this close relationship allows businesses to link with academic excellence for knowledge exchange partnerships, research and development, and student placements.